Temperature Range: - 40°c+90°c, (+125°c short time). For cleaning and disinfecting, consult IPL’s cleaning instructions. We do not recommend the use of SIP cleaning , which can severely impair the hose life. Technical Features: flexible hose made from ether-based hygienic TPU, reinforced with AISI 302 stainless steel spiral and polyester yarn. Inside and outside completely smooth to enhance flow properties and for an easy and effective cleaning before and after using. Properties: the extruded, low porosity TPU tube reduces permeation problems. Highly neutral in taste and odor, it preserves the organoleptic properties of the medium. Very good chemical resistance to acids and alkaline solutions and good impermeability. Versatile rubber resistant also to oils and fats under common use conditions. Halogens free conform to RoHS, as well ascompletely free from phthalates. Plutone PU Press has high mechanical properties: flexible, light though its wall thickness, really good bending. Resistant to abrasion, hydrolysis, microbes and most chemicals. Excellent resistance to ozone, weather, ageing, UV rays, hydrolysis. Curing-free material: Plutone Pu Press does not need any vulcanization process, therefore it prevents the risk of leaching of curing agent residues into the end product (peroxide or platinum volatile rests). It allows to save energy sources and limit CO2 emissions. Standards: Food grade according to the EU Regulation n° 10/2011 , FDA regulations (Title 21 CFR 177.2600, aqueous foods). Compliant with the pharmaceutical standards USP CLASS VI. 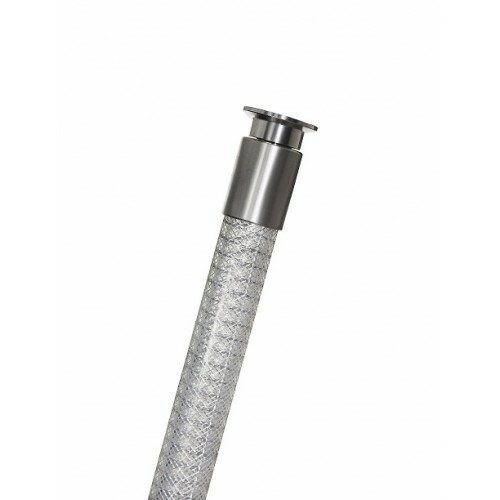 Suction and delivery hose suitable for pharmaceutical and the food industries. Excellent for transferring powders, pills, tablets, pharmaceutical liquid solutions, flours, drinks, wine, vinegar and spirits with max 20% alcohol content etc.